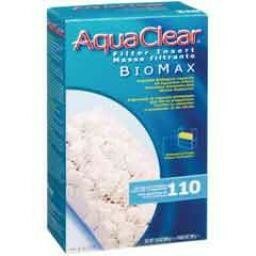 Aquaria AquaClear BioMax, 390G, For A620-V - Rick's Pet Stores Inc.
AquaClear 110 BioMax Filter Insert provides an optimal environment for the colonization and growth of beneficial bacteria, which is essential for effective biological filtration and water purification. BioMax’s complex bio-ring pore structure allows beneficial, toxin-reducing bacteria to thrive. By reducing toxins such as ammonia and nitrite, BioMax effectively increases biological filtration efficiency by 30%. 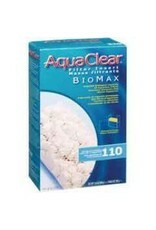 Exclusively designed for the AquaClear 110 Power Filter, BioMax is suitable for fresh and saltwater aquariums. BioMax comes in a mesh bag for quick and easy installation. Net Weight: 390 g (13.8 oz).